What do the symbols mean on your family crest? Your answer might be here! Descriptions and explanations which surround Family Crests, Coats of Arms, and their relationship to history are validated in this wonderful addition to the genealogist’s bookshelf. Four hundred and fifty illustrations were drawn with countless hours spent engraving the designs on wooden blocks for printing in this meticulous reference, which has been a source of documentation for over 140 years! . 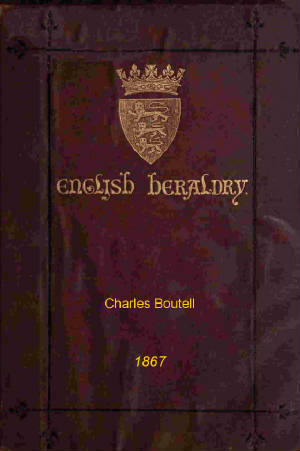 English Heraldry PDF eBook English 25.8 MB Printed1867 by Charles Boutell.